This spring has seen the comeback of several eyebrow-raising trends: from kitten heels to the ultimate "dad" trousers, khaki chinos. The latter may spark bad connotations at first, but thanks to the likes of Rag & Bone and Marc Jacobs, these trousers have become the surprising replacement to skinny jeans this year. We told you back in January that these would be the trousers you'd see everyone wearing as soon as we put away our winter coats. And right on cue, the sun has come out and all of our favourite fashion influencers are wearing chinos on repeat. But one pair has emerged as the key style within fashion circles. and the good news is they are only £28 from Gap. 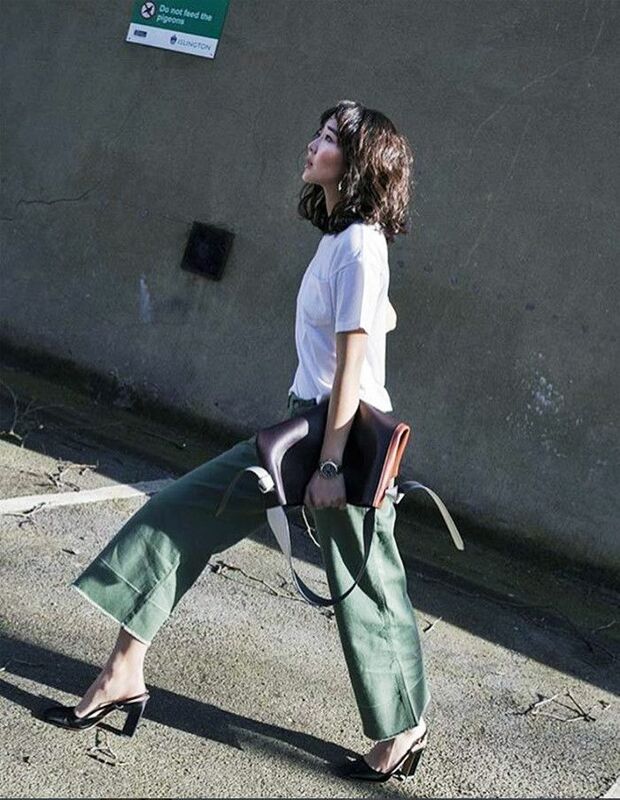 Lucy Williams, Alex Stedman of The Frugality and Shini Park of Park & Cube have all been wearing the same pair of cropped khaki wide-leg chinos, with a white seam detailing giving the illusion of a trouser cuff. These are now sold out in the army-green colour, however are still available in the lighter khaki shade, and they are currently on sale from £40 to £28. A wise mini investment, considering they're something you can wear every day of the week. Scroll below to shop the blogger-approved Gap khakis. For more styling tips, see our guide to how to wear chinos this spring.